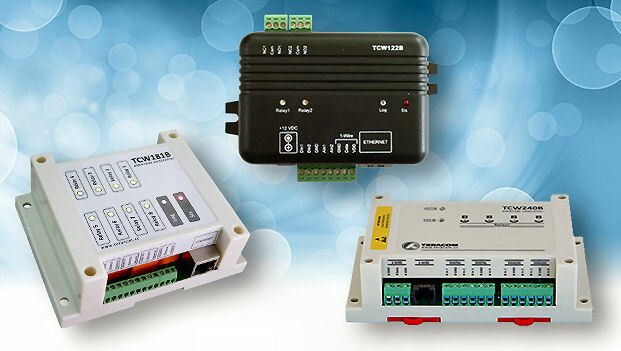 The TCW122B-CM is a remote IO module for environmental monitoring and control, designed to work in Ethernet networks. 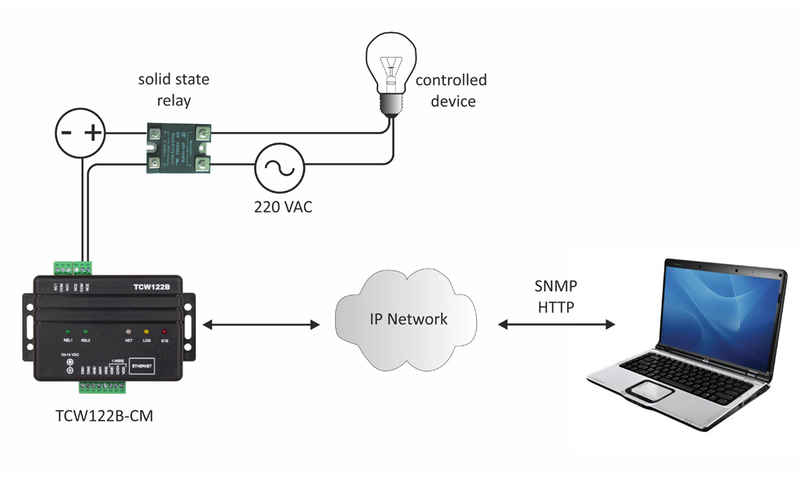 It can be managed by WEB interface, SNMP programs, and user applications. 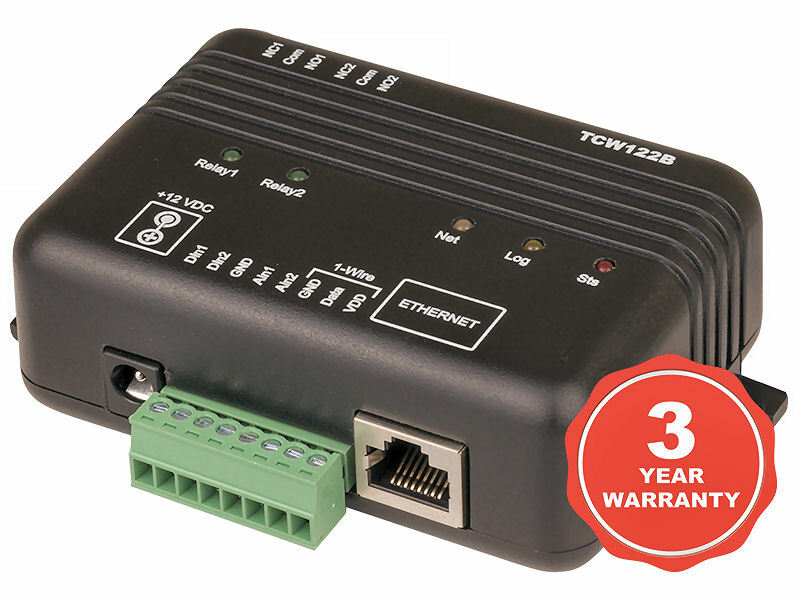 The TCW122B-CM support a 1-Wire interface. Up to two temperature or humidity-temperature sensors can be connected. Along with ambient parameters, two analog voltages and status of two digital inputs can be monitored. For every parameter e-mail and/or SNMP trap for any alarm condition can be sent. * Remote FTP firmware update. Maximum output current for 1-wire bus (VDD) 0.2amps.